The HootSuite Barn Owl release was just last week and many of you are still spreading the good word. We’re still listening and are pleased to share some of your latest posts, anecdotes and remarks. You can find more related snippets via HootSuite social bookmarks and let us know if we’ve missed something awesome (contact details on the Media Kit). The new capabilities include a “Social CRM” tool to help you learn who follows you, and know who they are in a Friends and Followers chart – “view profile, influence and activity level at a glance, and quickly engage to build relationships,” company officials said. A thorough, industry-savvy, comprehensive look at the Barn Owl features with marketers and customer service support teams in mind. There are so many great Twitter and Social Media tools out there but I have found that HootSuite is one of the best! I think the other wild web women would agree because we blog about it here and here. Thank you Nicki and all of you wonderful wild web women. It is a treat to read about marketers using and loving the new and improved HootSuite. Hootsuite now enables you to add UTM parameters to your links within Hootsuite itself. No longer is an external tool required such as Google’s UTM Link Builder. You can do it all now within one client! This is a fantastic guide for using the UTM feature in the HootSuite dashboard. Check this out if you have a campaign that you would like to monitor and measure. We couldn’t have said it better Shana! Thanks for the post. 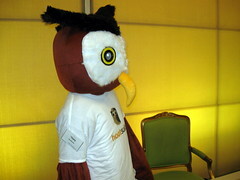 HootSuite Updates! – Athens Social Media posts a video tutorial that will take you through some of the new Barn Owl features. Hootsuite released some updates last week, and Athens Social Media wanted to keep you updated, too! Check out the new video. Thanks again for your reactions and remarks, we read ’em all at HootSuite HQ. Again, you can find more related snippets via HootSuite social bookmarks and let us know if we’ve missed something awesome (contact details on the Media Kit).